The violoncello is an instrument that often gets tapped for the most soulful kind of music, and its kinship to the human voice gives it a unique communicative power. But except for certain concerti, it’s rarer to hear the cello as a barn-burning virtuosic instrument. Thursday night, the young French cellist Edgar Moreau reminded a West Palm Beach audience what they might have been missing from their cello diet. 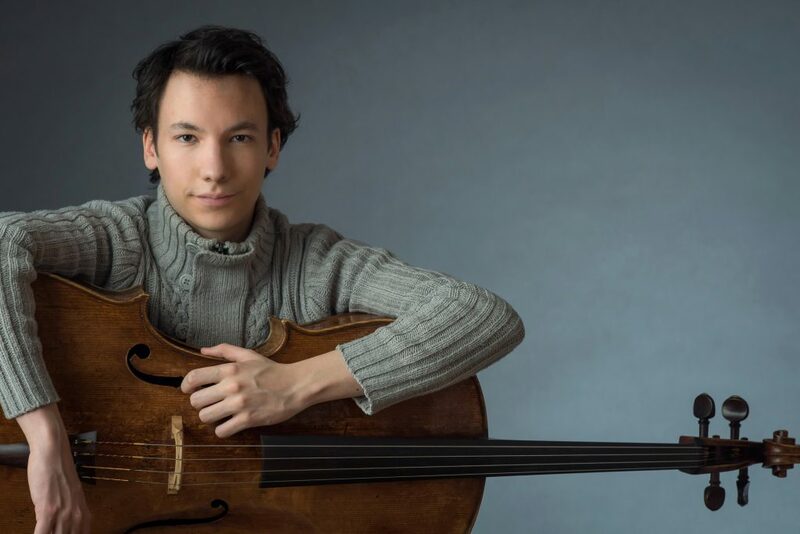 The 22-year-old musician was the first guest on the three-concert series of rising performers working under the aegis of the Young Concert Artists group, which has collaborated with the Palm Beach Chamber Music Society for these concerts outside the society’s normal venue at Mar-a-Lago. The society’s YCA concerts (which will feature violinist Stephen Waarts in March and pianist Ji in April) are being held this year at the Rosarian Academy in downtown West Palm. In his concert of music of sonatas by Beethoven and Poulenc, and shorter works by Chopin and Fauré, Moreau demonstrated formidable skill: He is a cellist of huge technical prowess and a powerful, cutting tone of great intensity that reminded me of no one so much as Pierre Fournier. He sounded at home in each of the different styles of music he played Thursday night, and I would expect him to be not just a busy recitalist but a popular concerto guest with orchestras. Ably partnered by the fine American pianist Jessica Xylina Osborne, Moreau showed his abilities at their most spectacular in the Introduction and Polonaise Brillante (Op. 3), composed by a 19-year-old Chopin while he was still living in Poland. This is a showpiece par excellence, with a sparkling piano part and an athletic cello part Moreau played with verve and total command. Judging by the perfectly in-tune octaves and other passages not in the original version of the work, Moreau was likely playing Maurice Gendron’s souped-up edition of this piece, and if so, he made a terrific case for it. The half-full house shouted its acclaim after the conclusion of the work, and indeed it made an excellent closing number for the recital. Earlier, Moreau addressed a late masterpiece, the Cello Sonata of Francis Poulenc, composed in 1948 for Fournier. In addition to its unique brand of lyricism, Poulenc’s sonata is very difficult, with a constantly shifting harmonic and emotional landscape that calls on the cellist and pianist to be at their most nimble. In one or two moments in the second movement and the finale, Moreau’s leaps to a higher register were a little shy of sticking a perfect landing, but in those same movements he offered long-breathed beautiful tone in the second, and a very forceful introductory statement in the finale, followed by big-boned playing throughout. Overall, Moreau showed the same mastery he had in the Chopin with this very different and much more subtle work, offering real charm and warmth in the first movement, and plenty of wit in the third. Indeed, the maturity of this performance suggested a player of more advanced years, and it said good things about Moreau’s affinity for contemporary music. He opened his recital with the second of Beethoven’s two early sonatas (No. 2 in G minor, Op. 5, No. 2), which also presented another side of his interpretive art. Moreau’s large, muscular sound was everywhere in evidence here, from the slow introduction to the propulsive Allegro that follows, and the lighthearted Rondo that closes the piece. It’s an on-the-edge sound that dominates the aural space, and while arguably his reading of Beethoven was a touch too Romantic for music written in the 1790s, it had drama, passion and energy, which is after all how the young man from Bonn first made his mark. The other scheduled work on the program was the popular Élégie (Op. 24) of Gabriel Fauré, a favorite of cellists and audiences for its beautiful tunes and dark, despairing profile. The double-forte return of the opening material was ideally suited for Moreau’s keening tone, and he brought the music home with a ferocious intensity that reminded us that elegies are not always about somber reflection; sometimes they are about vocal and wounded grief. After the applause for the Chopin, Moreau and Osborne returned for an encore with the slow movement of the Cello Sonata (Op. 19) of Sergei Rachmaninov, written right around the same time as the Second Piano Concerto in 1901 and full of the kind of beautiful tunes and high emotion for which audiences revere this composer. The second movement is a gorgeous song, rich and memorable, and Moreau introduced it with notable restraint, keeping the music from going over the top right off the bat. It was lovely, and a good way to wrap up the audience’s acquaintance with a young master of the cello who should have a long and prosperous career ahead of him.